Supplementary material reads: "1957-08-15. Photographer: Gershon. Subject: Frozen boy. Location: St. Mary's Hospital, Long Beach. 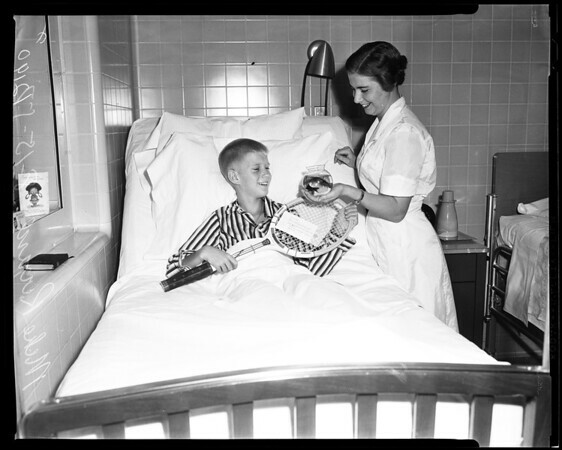 Names: Mike Rivard, shown with tennis racket and note father pinned to it to encourage him to get well from heart-lung operation when death seemed certain".